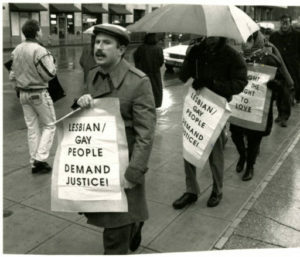 The Gay Ohio History Initiative is a collaborative effort between the Ohio History Connection and Outlook Media that began in 2005 when Outlook Media donated a full run of Outlook periodicals to the Ohio History Connection. 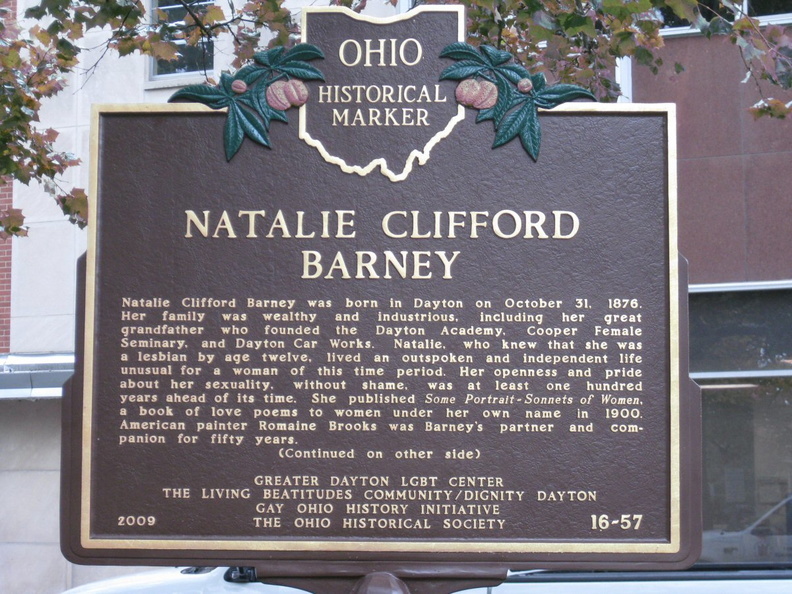 This project is designed to preserve Ohio’s LGBTQ history by building a collection of items that tell the story of the LGBTQ community in Ohio and to educate K-12 teachers on the roles of LGBTQ people in history. 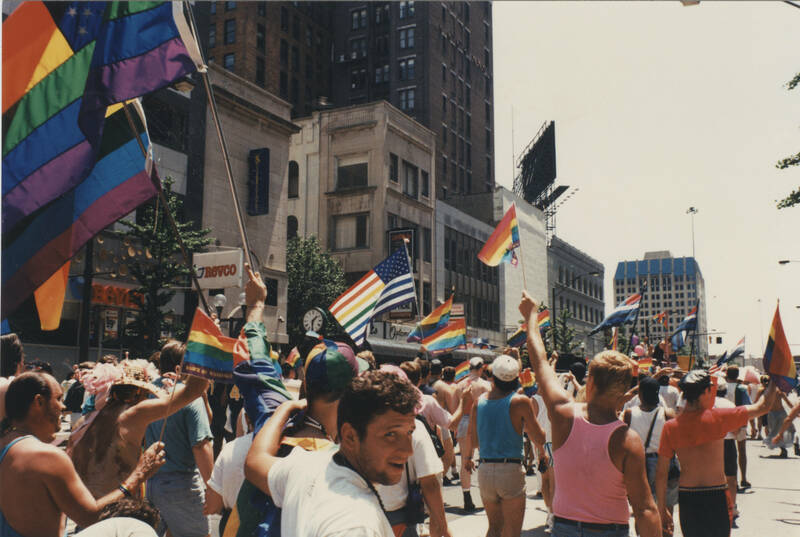 GOHI works to preserve, archive, and curate the history and culture of LGBTQ citizens of Ohio, to document and share these stories with all Ohioans, and create opportunities for understanding the past in order to build a better future. It is the goal of GOHI to work with LGBTQ organizations across the state to document significant history, support communities through Pride celebrations and other special events, and to partner and consults with community partners to create opportunities to share and present history within the LGBTQ community and to Ohioans across the state. 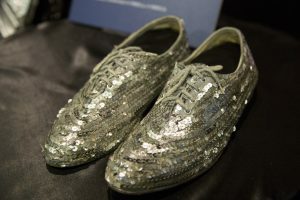 The Ohio History Connection has been collecting objects and archival materials from the LGBTQ community since the early 1980s. It is continuously adding pieces to the collection. Learn more about the collection and how you can help it grow. 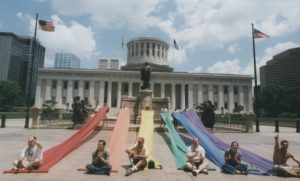 It is the goal of GOHI to work with LGBTQ organizations across the state to document significant history, support communities through Pride celebrations and other special events, and to partner and consult with community partners to create opportunities to share and present history within the LGBTQ community and to Ohioans across the state. Using the historical markers program (www.remarkableohio.com), GOHI seeks to work with community partners to identify and install historic markers that represent important people, events, and places in LGBTQ history. OR DO YOU HAVE A HISTORY TO SHARE?